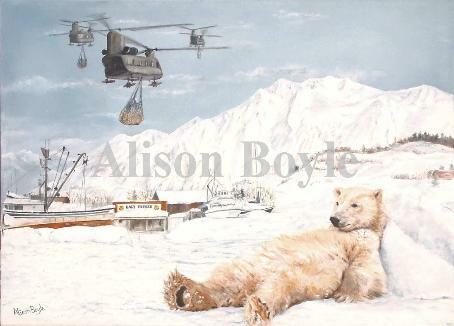 "Sugarbears on Food Drop" is available as a customized print. to feed working dogs in villages around the Alaska Interior. donated fish in Operation FISH-EX.